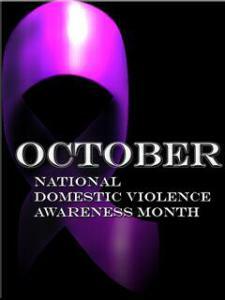 October is National Domestic Violence Month. I am a survivor/thriver. Although I wrote this blog a year ago it is still timely. Women are still being abused. In addition men are being abused and Intimate Partner Violence is becoming more apparent in the LGBTQ communities. Raising awareness, joining our voices to proclaim “No More” is one way we can stem the tide. Look around you. Someone you know needs help. Be the listening ear that may give her or him the opportunity to speak out. I have listened to the questions and read the responses to the domestic abuse questions; why do the abused stay and why do they finally leave. While I admit it started me remembering my personal experiences it also got me thinking about why I was being abused. 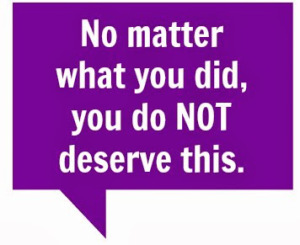 Once again, as I had many years ago, I questioned whether I had done something to deserve the mental, emotional, and physical abuse I suffered at the hands of a man who claimed to love me.